This turtle is semi-terrestrial, spending equal time on land and in water. 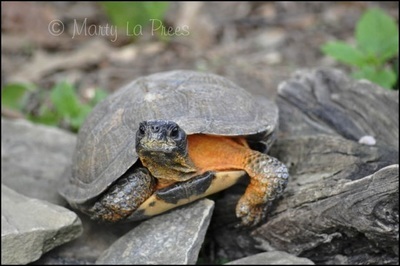 It is native to the Great Lakes region as well as the northeast of the USA. 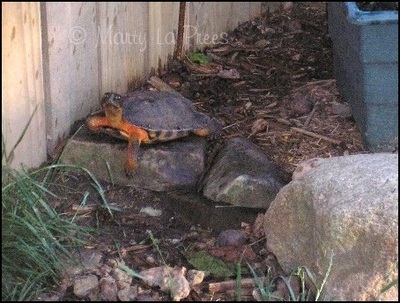 They are beautifully marked turtles, with bright orange or yellow on it's throat, neck, talk and front legs. 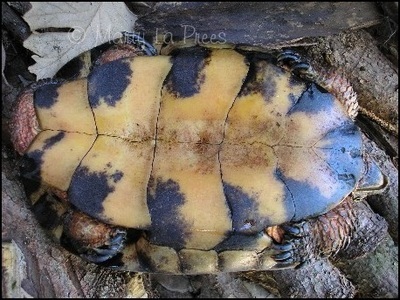 Their carapaces (top shell) have areas marked with radiating coloration and raised ridges. 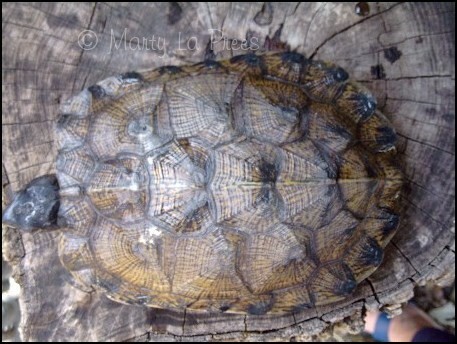 The plastron (bottom shell) is yellow with dark markings at the seams. They are omnivorous, meaning they eat insects, snails, worms, tadpoles, berries and aquatic vegetation. 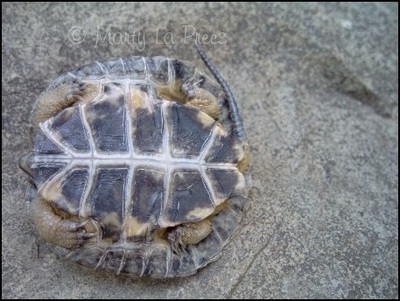 These turtles are known as one of the smartest species of turtles. They have an interesting behavior of 'stomping' the ground, especially after a rain, to drive worms and insects in sight for nourishment. has no hinge. of a tree. 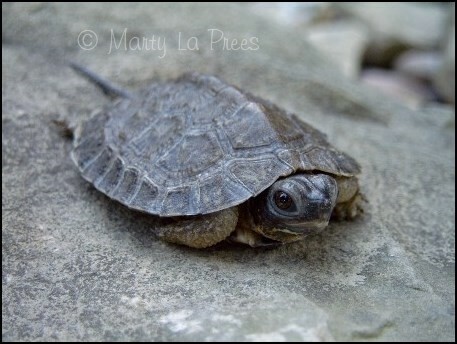 NA Wood turtle hatchlings have very long tails, as you can see. 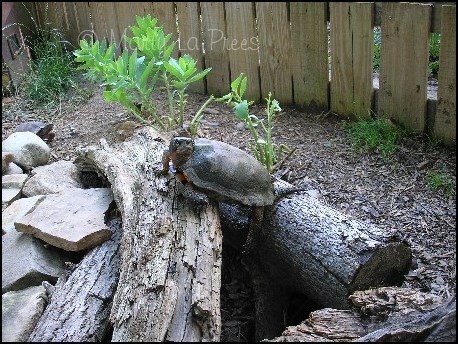 The orange coloration on the NA Wood turtle is often bright, as you can see. 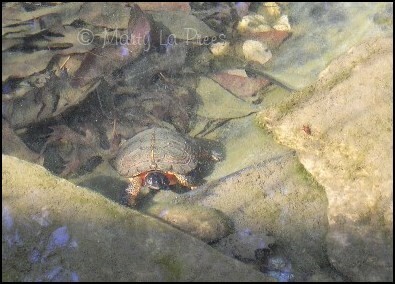 Even under the water, you can still see the patterns and coloration of their shell. These turtles are great climbers and very determined when 'on a mission' to find food or to a certain area in their habitat.